A well-organized kitchen or pantry is essential for happy cooks and well-functioning homes. Sometimes a kitchen just needs to be looked at in a new way to open up all the unique possibilities that they hold. The Custom Closet Company can help you design and install the perfect kitchen storage and pantry solutions for your home. 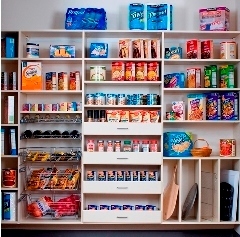 Does your kitchen or pantry lack the storage space you desire? Are you looking for storage solutions to help remove the clutter from your kitchen counter tops? Are you trying to find space around cluttered countertops? 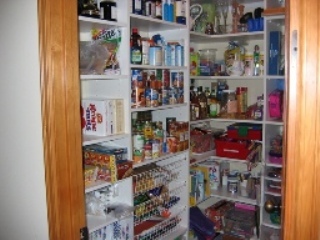 Call the Custom Closet Company and we will work to solve all of your kitchen and pantry storage needs. The Custom Closet Company utilizes home design and installation solutions to create the custom designs our customers have come to love. The kitchen is such a central hub in most homes, that proper organization is a priority. Our team at The Custom Closet Company will address the problems and needs of your kitchen or pantry, then we craft and the perfect kitchen and pantry solutions for you. Call today (253) 245-3883 in the Greater Puget Sound for your free in-home estimate. We will be happy to revitalize your kitchen today!